A flying game? On iOS? Seriously? Not really a sim this is a casual platform type game set in the air. 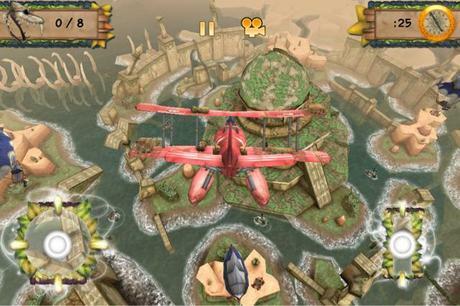 With stunning graphics and a unique setting Air Mail could be one of iOS' must have games of this year so far. So let's find out if it's worth a download or if it should fly into the sunset without you. Air Mail looks good. It looks really, really good. 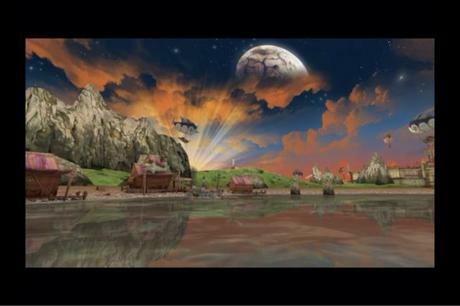 It is set on a beautiful island surrounded by a magnificent ocean that reflects and reacts in an incredible way, especially for a game based on a mobile device. Air Mail also has some very pretty lighting effects. Some levels are set during sunset and sunrise and when you're flying over the island it really can look breathtaking. 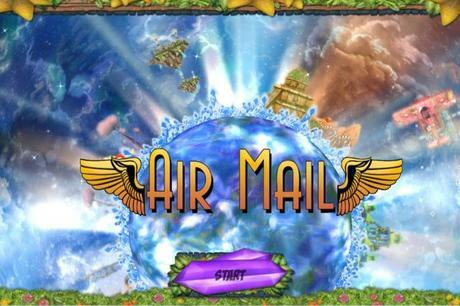 Air Mail is another solid piece of evidence backing up iOS as one of portable gaming's heavyweight machines. The story is there if you want it but I found myself skipping most of the cutscenes and dialog. It isn't that it's bad. It's just not very good either. It's a very boring a clichéd story about a young boy who becomes a pilot and then has to save the island when all the other pilots are captured. It's honestly really basic and after taking in the excellent graphics it is a shame the developer didn't spend the same time on making narrative deserving of a game that looks like this game looks. Unfortunately the story really starts to great after a while and turns you off from wanting to play the game altogether. 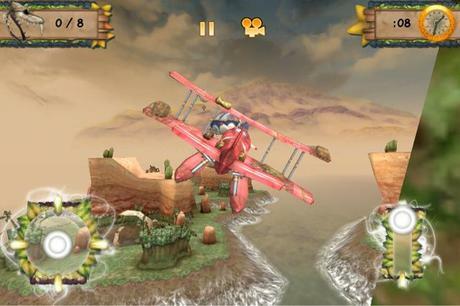 Obviously this is a flying game, but for the casual market so has much more forgiving controls and plane physics then your more classic flying games generally have. There are a few control types; touch, gyroscope and a mixture of the two. As an old school gamer I predictably opted for the touch controls. It's very simple with a left nub that controls all your movements and an up and down nub that controls speed. It all adds up to a very easy to control game that's simple to pick up and play. You'll be flying around like a pro in no time at all executing sharp turns, nose dives, quick pull ups and other cool twists and tricks. The place where this game really falls down though is in the levels. Air Mail basically consists of pick up and drop off missions and while this is fine for the first few levels it quickly gets old. As there is nothing else you can do with a plane that doesn't have guns on it options are limited but it feels like more could have been done then "fly here, pick this up, take it here, drop it, land plane and repeat". It really is quite disappointing when the core gameplay is so much fun and it's such a pretty game. Air Mail feels like a missed opportunity to me. With more variety it could have been one of the iOS' must buy games. As it is, Air Mail is one of the best displays of what the iPhone can do graphically and that is really about it. The lack of variety in gameplay and the boring narrative mean Air Mail is a very average flying game and not really something I can recommend people download with their hard earned cash and this is a real shame because honestly this is a fantastic looking game as the screen shots show.